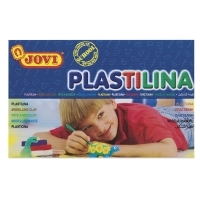 Jovi Plastilina is a pliable, non-hardening modeling clay that is excellent for young artists and small hands. 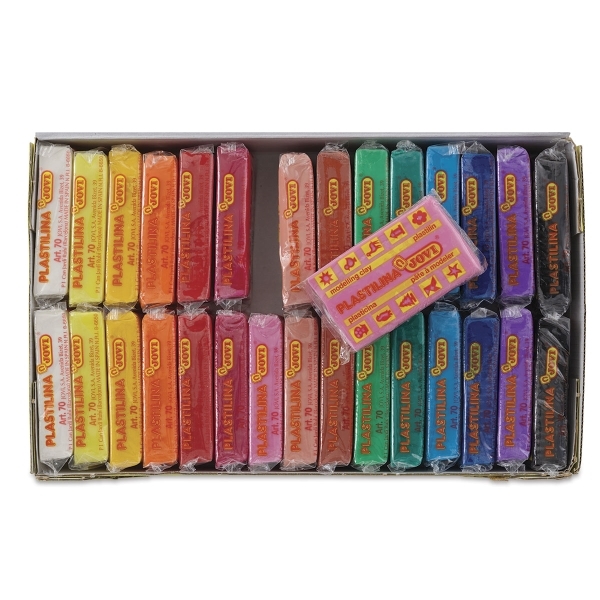 Ideal for making clay figures of all kinds and stop-motion animation figures, this reusable clay holds fine details, and won't dry out between uses. Composed primarily of vegetable material, it contains 33% more volume per ounce than mineral-based modeling clay. 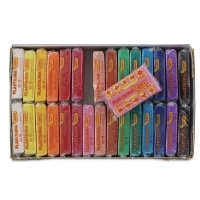 This box contains 30, 1.75 oz bars of modeling compound, two each of 15 colors, including Black, Brown, Dark Blue, Dark Green, Dark Yellow, Light Blue, Light Green, Orange, Peach, Pink, Red, Ruby, White, and Yellow. Jovi Plastilina is gluten-free and non-toxic. ® Jovi is a registered trademark.